Does the Infielder Carry Any Responsibility? We can argue all day long about whether the slide was warranted or legal, but that's not the issue I'm wondering about. What I am curious about is the last part of Hairston's tweet. How much responsibility does a middle infielder have when it comes to vulnerability? If you look back at the replay (video link here) you can clearly see Tejada receive the ball, take a step with his right foot, then attempt an pirouette in the air in order to throw out the runner. 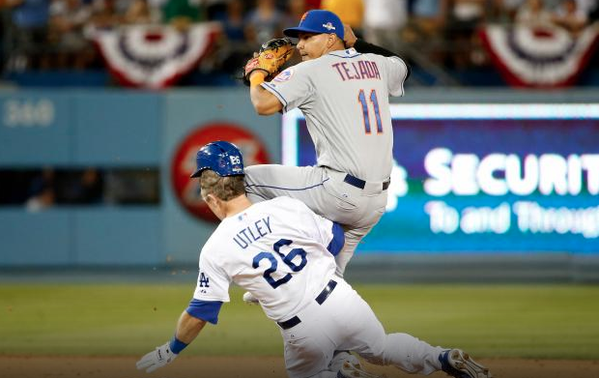 In doing this, he turns his back on Chase Utley; thereby putting himself in a vulnerable position. You have to believe that Tejada was mindful of the oncoming runner, so in choosing to make a throw anyway doesn't he contribute, to a certain extent, to the bad situation? As a hockey fan we see this kind of thing all the time, and oftentimes the severity of a penalty or suspension is assessed based on whether the player himself put themselves in a vulnerable position. This isn't always the case, of course, but I think that in situations like the Utley/Tejada debacle a similar rule must apply. Photo above via Bleacher Report on twitter. 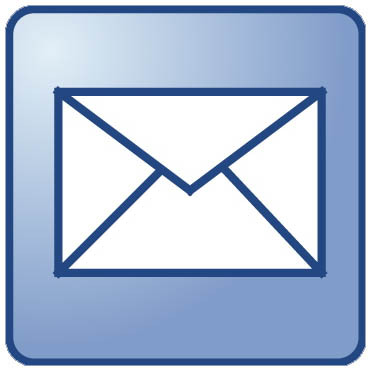 Links Labels: Chase Utley, Hairston Jr.
Now back to our regularly scheduled blog posting. 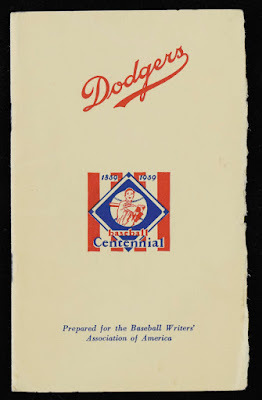 Currently ongoing is Hunt's October auction, and it includes a couple of Dodger memorabilia items I wanted to highlight. 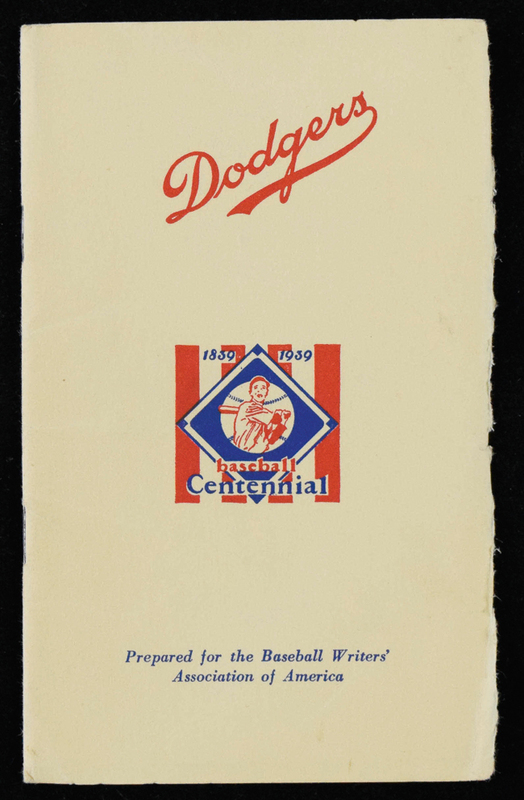 Featured above is 1939 Brooklyn Dodgers Spring Training player roster and guide with the iconic 1939 Baseball Centennial logo emblazoned on it. As you may know, every player in the league wore this Centennial logo patch on their uniforms and teams throughout plastered it on everything. And no wonder, I consider it one of the best creations in the history of the game. I absolutely love that logo. 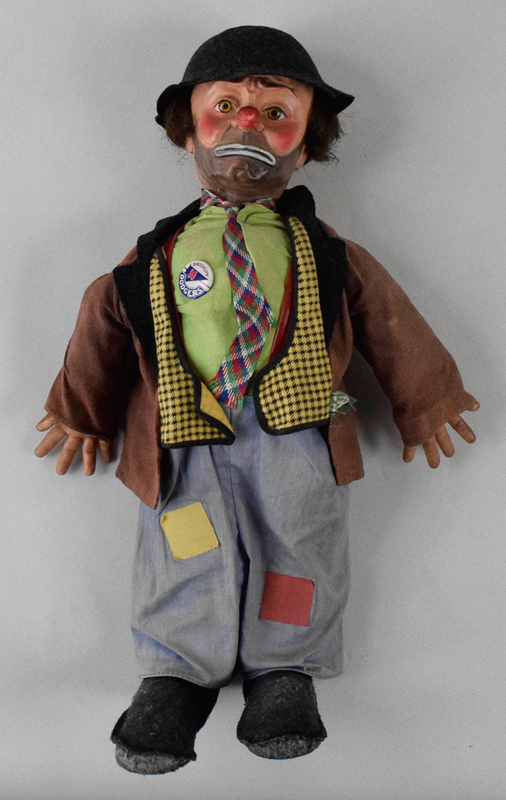 The next item below represents the famous Dodger mascot created by Willard Mullin and portrayed by legendary clown Emmett Kelly at Brooklyn ballgames. This is something I've never seen before, and am uncertain if the doll is actually vintage. Clearly, the Brooklyn Dodger pin attached to it is vintage. 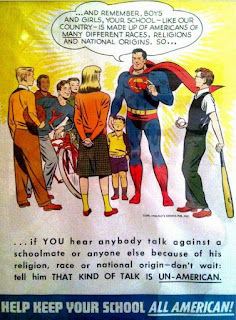 In today's world this kind of image would be frowned upon, but when paired with sports nostalgia it becomes a collectible. 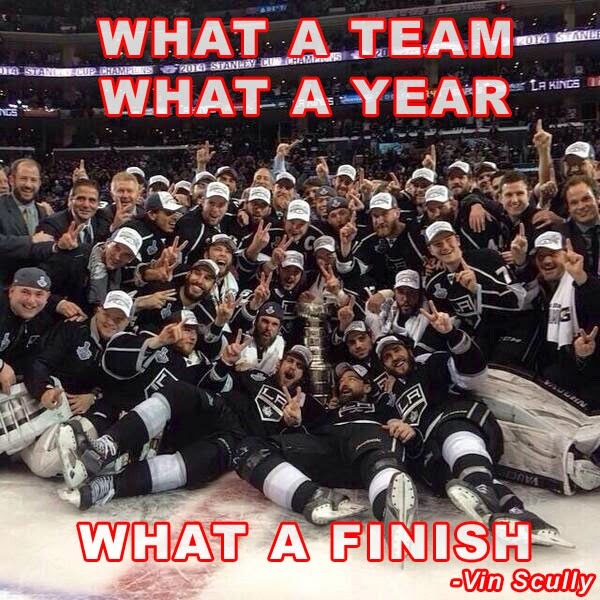 Since this is all the rage since the conclusion of Saturday's game I figured I would address it here. As you all know, Chase Utley attempted an take-out slide on shortstop Ruben Tejada that was clearly overly aggressive and ill-advised. No doubt, Utley's goal was to disrupt the play and in doing so injured a defenseless ballplayer - who, if I may add, contributed in putting himself in that position. That's not to say that one act negates the other. 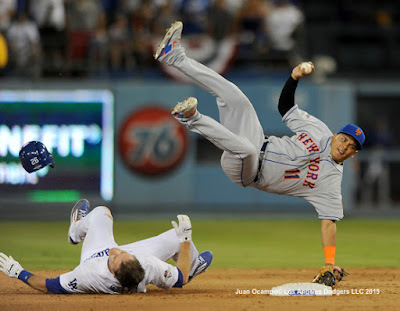 It's just that Tejada's attempt to make a pirouette and throw was also ill-advised. Still, Utley's act is clearly more egregious and given the severity of the injury is worthy of rebuke. But is it worthy of suspension? The game is definitely changing from what I remember as a kid. The days of "Baseball being something like a war" is dwindling away, and players and fans alike appear to be demanding that it become more gentlemanly. And in the whole scheme of things, I can learn to accept that. If there is one good thing this situation creates for Baseball it is that a more defined rule will be enacted over the winter to specifically address and define this. As it stands, Utley is suspended 2-games, and as you would expect he has appealed Torre's decision. 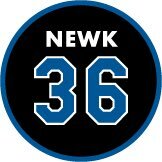 Since a hearing is unlikely before the start of tonight's game he will be on the bench for the Dodgers. 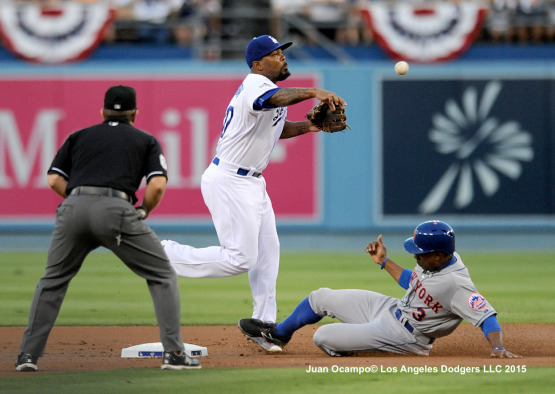 On a side note, Jon SooHoo shared several photographs from Saturday's game, and one other take-out slide was featured. As you can see below, Curtis Granderson is attempting his own slide on Howie Kendrick and inadvertently spiked him on the foot. The old-school fan inside me sees this as more than acceptable, but I wonder if such an action, accidental or not, would fall under the definition of an illegal slide. Via Mike Oz at Big League Stew, "Chase Utley apologized to Ruben Tejada by sending David Wright a text." Via Ken Gurnick at MLB.com, "Mattingly stands behind Utley '100 percent.'" During his Sunday off-day press conference at Citi Field, Mattingly said, "We're 100-percent behind" Utley. 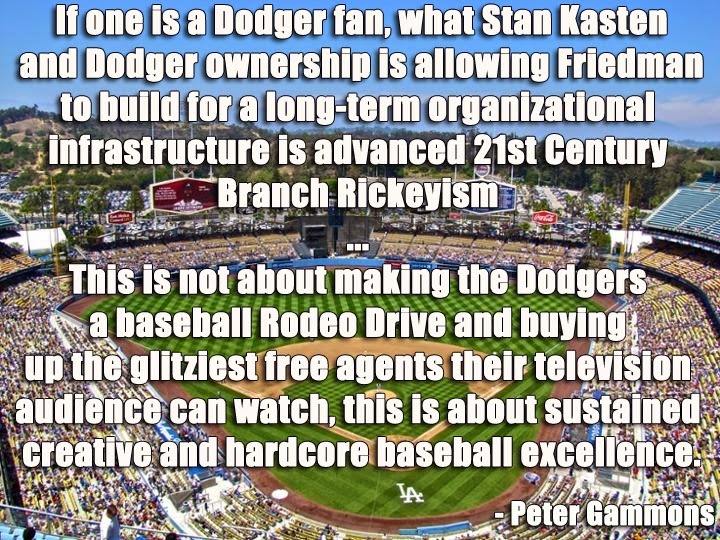 Via Cary Osborne at Dodger Insider, "There’s life in the left arm of Brett Anderson." 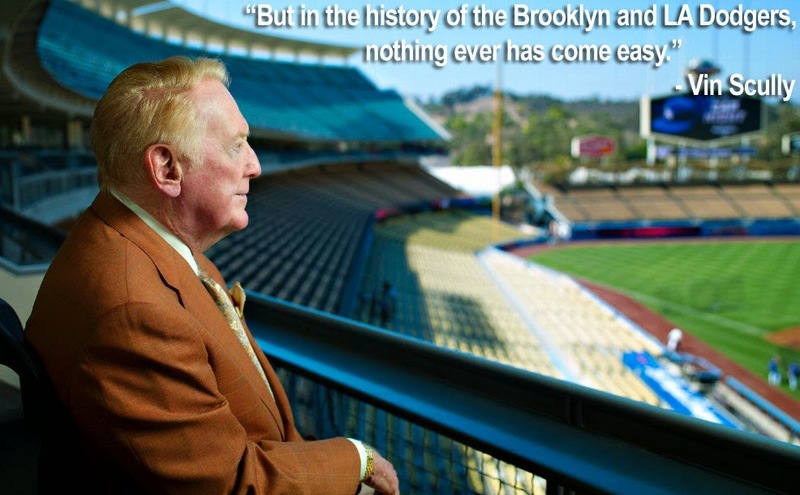 Via Michael Beschloss at the NY Times, "The Pitcher Time Forgot" - Dan Bankhead. An old friend alert: Via Sports Illustrated, "Report: Kim Ng among Phillies’ top choices for general manager." Via Bodie Dykstra at the Daily Gammons, "Corey Seager: From Prospect to Postseason."